Demonstrations in Miami in 2015 against the opening of the U.S. embassy in Havana. Julio V. Ruiz, a 71-year-old retired psychiatrist with a long history of participating in talks with the Cuban government, tried to ignore the persistent knocking at his door by two strangers when they showed up uninvited one afternoon last week. The rapping on the door went on for 15 minutes. It was the F.B.I. At least five Cuban-Americans in Miami, including Dr. Ruiz, who have opposed a trade embargo with Cuba and promoted better relations with the communist government in Havana, said they received surprise visits in the past week from federal agents. The law enforcement representatives were vague about their intentions, gave only their first names, and asked questions that seemed intended to learn about contacts with Cuban diplomats, Dr. Ruiz said. For many, the questions triggered decades-old concerns dating back to a time when ideological divisions in the Cuban exile community were more pronounced, and sometimes were coupled with law enforcement scrutiny. Those contacted were among a large group of exiles who came to the United States as children in the early 1960s, fleeing the Castro dictatorship. 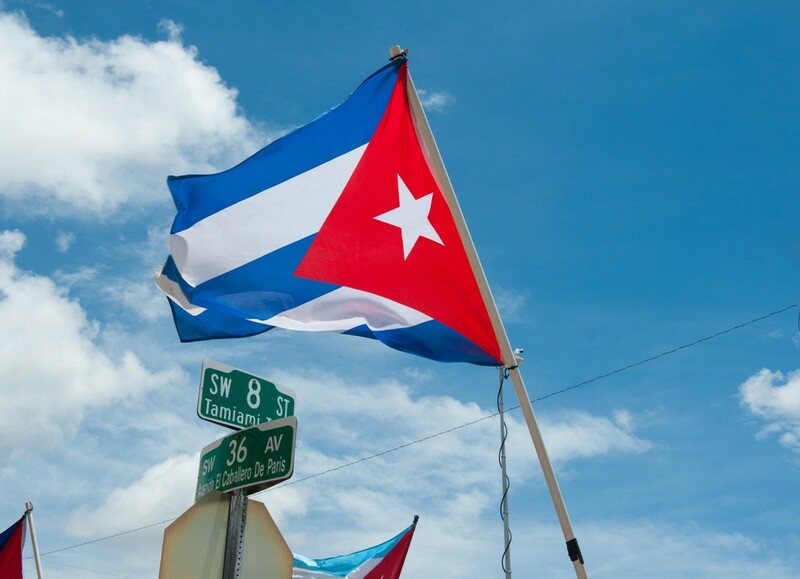 As adults, they supported engaging with the Cuban government, even when doing so was deeply unpopular in South Florida and often caused them to be ostracized. Some of those contacted said they feared that they were being targeted as part of President Trump’s moves to curtail travel to Cuba and roll back new openings with Havana that had been enacted by the Obama administration. The meetings come in the wake of a series of bizarre ailments, which some suggested could be linked to possible sonic or microwave attacks, that afflicted more than three dozen American diplomats and family members in Cuba and China. The incidents in Cuba resulted in a diplomatic rupture between Havana and Washington, and the U.S. embassy in Havana is down to a skeleton staff. But there was no sign that the recent meetings were connected to any investigation of those reports. A brochure the agents left with one of the men suggested that the agents were trying to alert him to the possibility that he was being targeted by spies. (Associated Press) Chris Allen’s phone started buzzing as word broke last month that invisible attacks in Cuba had hit a U.S. government worker at Havana’s Hotel Capri. Allen’s friends and family had heard an eerily similar story from him before. Allen, from South Carolina, had cut short his trip to Cuba two years earlier after numbness spread through all four of his limbs within minutes of climbing into bed at the same hotel where U.S. Embassy and other government workers were housed. And those weren’t the only parallels with the latest reports. Convinced the incidents must be related, Allen joined a growing list of private U.S. citizens asking the same alarming but unanswerable question: Were we victims, too? It may be that Allen’s unexplained illness, which lingered for months and bewildered a half-dozen neurologists in the United States, bears no connection to whatever has harmed at least 22 American diplomats, intelligence agents and their spouses over the last year. But for Cuba and the U.S., it matters all the same. It’s cases like Allen’s that illustrate the essential paradox of Havana’s mystery: If you can’t say what the attacks are, how can you say what they’re not? With no answers about the weapon, culprit or motive, the U.S. and Cuba have been unable to prevent the attacks from becoming a runaway crisis. As the United States warns its citizens to stay away from Cuba, there are signs that spring breakers, adventure seekers and retirees already are reconsidering trips to the island. After years of cautious progress, U.S.-Cuban relations are now at risk of collapsing entirely. That delicate rapprochement hadn’t even started to take hold in April 2014 when Allen felt numbness overtake his body on his first night in the Havana hotel. “It was so noticeable and it happened so quickly that it was all I could focus on and it really, really frightened me,” said Allen, a 37-year-old who works in finance. The Associated Press reviewed more than 30 pages of medical records, lab results, travel agency records and contemporaneous emails, some sent from Havana, provided by Allen. They tell the story of an American tourist who fell ill under baffling circumstances in the Cuban capital, left abruptly, then spent months and thousands of dollars undergoing medical tests as his symptoms continued to recur. One troubling fact is true for tourists and embassy workers alike: There’s no test to definitively say who was attacked with a mysterious, unseen weapon and whose symptoms might be entirely unrelated. The United States hasn’t disclosed what criteria prove its assertion that 22 embassy workers and their spouses are “medically confirmed” victims. So it’s no surprise that even the U.S. government has struggled to sort through confusing signs of possible attacks, odd symptoms, and incidents that could easily be interpreted as coincidences. LA Times feature continues here: Did Sonic Attacks Begin in 2014? The U.S. has expelled two Cuban diplomats in retaliation for a bizarre incident purportedly involving a covert sonic device that allegedly left a group of American diplomats in Havana with severe hearing loss. 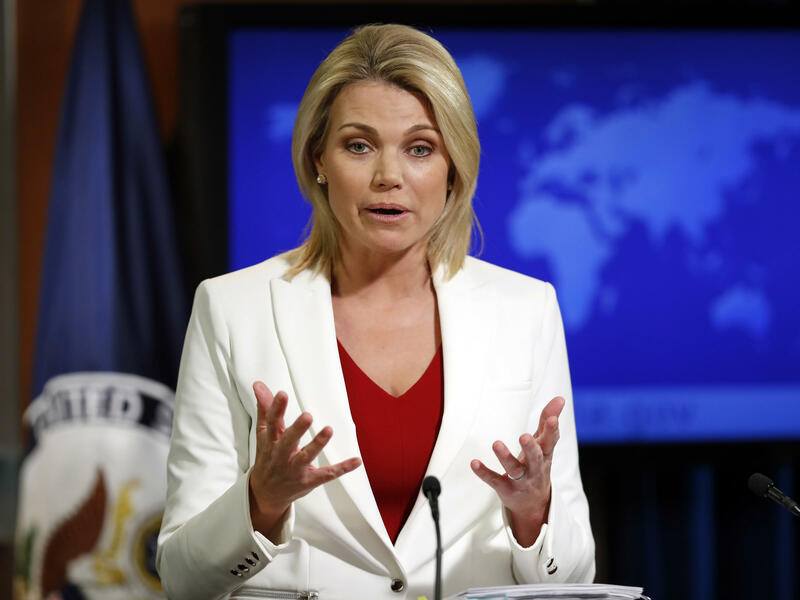 State Department spokesperson Heather Nauert on Wednesday spoke only cryptically about the matter, referring to an “incident” without elaboration. 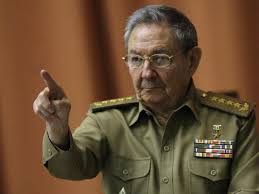 Cuba has strongly denied any allegations of wrongdoing. The purported affair began in late 2016 when a series of U.S. diplomats in Havana began suffering unexplained losses of hearing, according to officials with knowledge of the investigation into the case, the Associated Press reported. Several of the diplomats had recently arrived at the embassy, which reopened in 2015 as part of former President Obama’s re-establishment of diplomatic relations with Cuba and relaxation of travel restrictions. Nauert said that as a result of the incident, two Cuban diplomats were ordered to leave their embassy in Washington on May 23. She did not say how many U.S. diplomats were affected or confirm they suffered hearing loss, saying only that they had “a variety of physical symptoms.” She said none were life-threatening. The ministry said it created an expert committee to analyze the incidents and reinforced security around the U.S. embassy and U.S. diplomatic residences. The affair is playing out against a backdrop of a change in U.S.-Cuban relations following the inauguration of President Trump, who has tightened travel restrictions to the island nation. U.S. officials told the Associated Press that about five diplomats, several with spouses, had been affected and that no children were involved. The FBI and Diplomatic Security Service are investigating. In the early years of the post-Cold War, 19-year old Cuban Coast Guardsman Leonel Macías González hijacked a boat and fled to Florida with 23 friends and family to escape an oppressive dictatorship. Or at least that’s the fairy tale we were told. The refugees were rescued by the crew of the U.S. Coast Guard cutter Monhegan, who found the overloaded and leaking vessel 60 miles southwest of Key West. The cutter took the Cubans aboard and sank the boat as it had become a hazard to maritime traffic. Questioned by U.S. officials, the refugees told authorities the exact same story – one provided to them by Macías, who had been a machinist on the commandeered vessel. Macías claimed the ship’s officer attempted to stop the hijacking and fired twice at him. He returned fire, but said he was uncertain if he had hit the navy lieutenant. Shooting back, Macías insisted, was self-defense. During the brief gunfight, the officer seemed to have lost his footing and fell overboard. At gunpoint, Macías then forced the remaining three crewmen to jump overboard before he piloted the small auxiliary vessel to shore, picked up his friends and fled north to Florida. Unfortunately for Leonel Macías González, Cuban authorities had already notified the U.S. Coast Guard of the vessel’s hijacking and the murder of Cuban Navy Lieutenant Roberto Aguilar Reyes on August 8, 1994. The innocent refugees were granted asylum by the United States on August 11. Macías, however, was held in detention and questioned at length about his alleged crimes. Havana demanded the gunman’s return and offered to turn over a copy of its investigation. The U.S. rebuffed the Cuban government and authorities debated whether a crime had even occurred. After a lengthy investigation that went nowhere, government bureaucrats freed the alleged murder and admitted military mutineer and boat pirate. Leonel Macías was granted political asylum on April 17th, 1995. He should never have been allowed to stay in this country. Our government’s irrational and illegal decision to overlook compelling evidence and allow Leonel Macías Gonzalez to walk free cannot be justified as lingering post-Cold War politics. America is supposed to be an example to the world, especially with regard to respect for the law and human rights. The Federal government should immediately ask Havana for a copy of its criminal investigation. While awaiting Cuba’s response, the FBI can begin building a criminal case against Macías, centered on the numerous statements he previously provided the government. The lawyers can argue whether or not Lieutenant Aguilar Reyes was murdered. However, several facts are irrefutable. First of all, Macías’ claim of self-defense is completely false. Lieutenant Reyes was armed, a fact well known to Macías. The officer was in command of a small auxiliary vessel in the Cuban Navy. The notion that someone – especially a service member – may use a weapon to hijack a warship and not expect the crew to fight back is an idea that defies civil and military law worldwide. Self-defense? Never. Secondly, Macías freely admitted commandeering the naval ferry, which I suspect authorities would now agree constituted international piracy. The key point is that Macías has already confessed to these crimes. After receipt of the evidence from Havana, we would need to return Macías to face justice in a Cuba court. While the lack of an extradition treaty may seem problematic, it really isn’t. For years, Havana and Washington have regularly returned criminals. Last December, U.S. Marshals flew to Havana to bring fugitive Shawn Wegman back to face firearms charges. In April of this year, 11 Cuban criminals were returned. Furthermore, Macías’ request for political asylum was fraudulent, which by itself is sufficient grounds for the revocation/ termination of his political asylum. Hundreds of thousands of Cubans have fled their homeland without using their escape as a license to kill. Leonel Macías González has evaded justice – with U.S. assistance – far too long. Harboring this fugitive is unforgiveable. It needs to end – NOW. The Post & Courier (Charleston, SC) A powerful U.S. air-to-ground missile whose design and electronics are a military secret has ended up in the hands of the Cuban government through a series of bizarre mishaps or deliberate theft that could be the plot for a Cold War comedy — or something much darker. The Wall Street Journal reports that U.S. officials fear that whether it got the missile by accident or design, the Cuban government has likely shared its secrets with countries like China, North Korea or Russia, and that copies could soon turn up on the international arms market. Despite thawing U.S. relations with Cuba, the State Department has reportedly been unable to get the missile back or find out what happened to it. 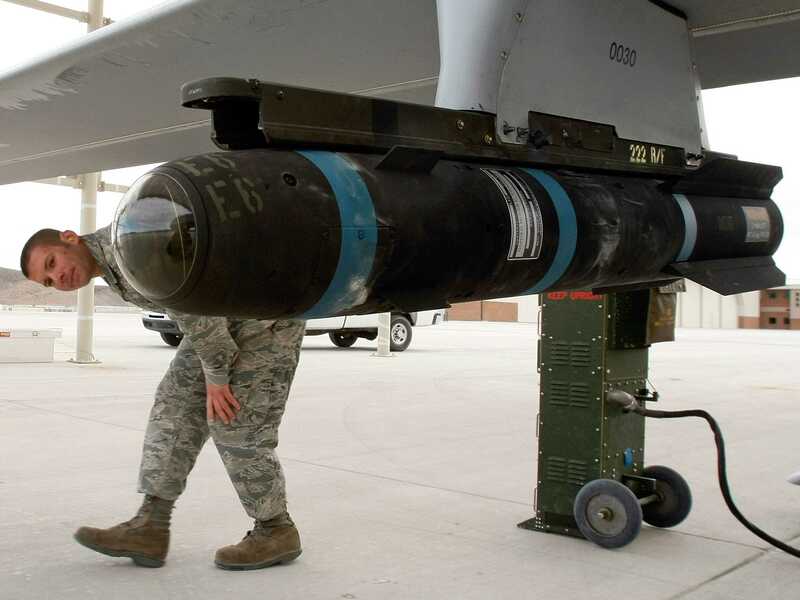 According to the Journal, an unarmed version of the Hellfire air-to-ground missile, designed to kill tanks, was loaned by its manufacturer, Lockheed-Martin, to NATO for a training exercise in Spain. It was supposed to be returned by air from Madrid via Frankfurt, Germany, but its clearly marked shipping case somehow ended up going to Paris where it was loaded on an Air France flight to Havana, and there it vanished. The FBI and U.S. intelligence agents are still trying to figure out whether the diversion of the missile to Cuba was purely accidental or a clever Cuban intelligence coup. Article continues here: Did Cuba Steal US Missile? Cuba will not turn fugitive Joanne Chesimard over to the United States, where she was convicted of the 1973 killing a New Jersey state trooper, a Cuban government representative told Yahoo News. The official, Gustavo Machin, told Yahoo that the subject is “off the table” despite calls from Garden State lawmakers including Gov. Chris Christie and U.S. Sen. Robert Menendez (D-N.J.) demanding the return of the 67-year-old Chesimard, who remains on the FBI’s Most Wanted list. While a member of a radical group, the Black Liberation Army, Chesimard and two others gunned down Trooper Werner Foerster during a traffic stop. Two years after her 1977 conviction, Chesimard escaped from prison and fled to Cuba, which has been providing her sanctuary ever since. Chesimard’s case gained renewed interest in December, when President Obama announced a thawing of relations with one of the world’s last remaining communist nations. But amid the fanfare immediately following Obama’s announcement, the State Police and elected officials demanded Chesimard be turned over as a condition of any change in status between the two countries. Diplomatic ties between Cuba and the United States were largely severed a half-century ago following a communist uprising led by Fidel Castro. Editor’s Note: Directorate of Intelligence (DI) officer Gustavo Machin was thrown out of the US in retaliation for the Ana Belen Montes spy case. 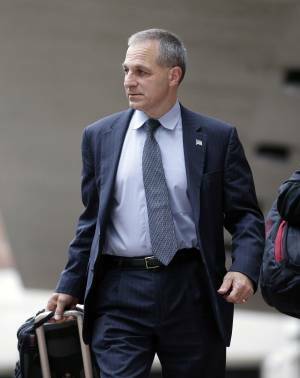 Former FBI Director Louis Freeh, above in 2013, said he presented a spies-for-Chesimard trade to Cuba through intermediaries. 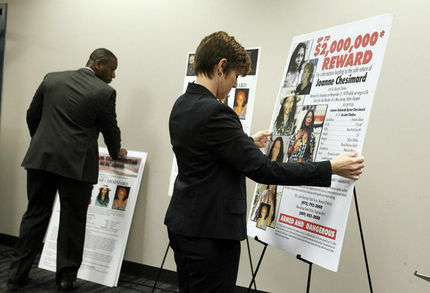 Years before Joanne Chesimard was placed on the FBI’s list of most wanted terrorists and the bounty for her capture was increased to $2 million, federal authorities secretly reached out to their Cuban counterparts with a plan to bring the convicted cop killer back to New Jersey. It was the fall of 1998. The FBI drew up a proposal to trade five captured Cuban spies for Chesimard, who had been convicted two decades earlier of killing a New Jersey state trooper in a turnpike gunfight but had broken out of jail and fled to Cuba, where she was granted political asylum. 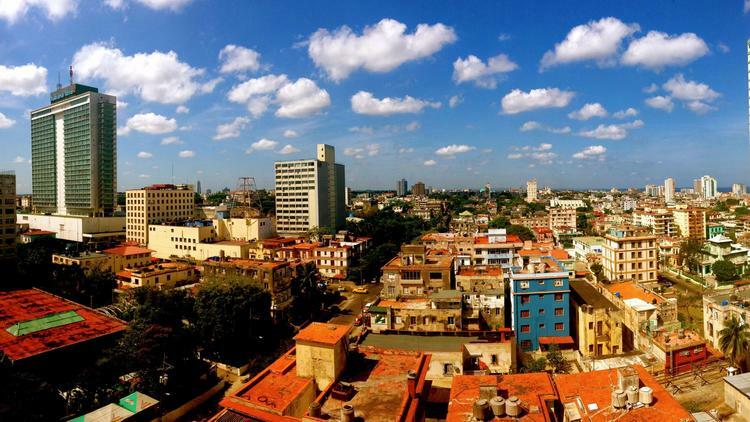 Cuban authorities refused to discuss the proposed deal. Three of those spies were sent back to Cuba in December in exchange for American contractor Alan Gross and a CIA operative. The two others had returned earlier after serving their U.S. prison terms. The proposed 1998 trade, which has never been publicly acknowledged by either the United States or Cuba, was described in detail in two recent interviews with The Record by one of its originators, former FBI Director Louis Freeh. Why the plan failed may offer insight about the obstacles facing the state police, the FBI and a host of political figures as they renew efforts to bring back Chesimard. The story also illustrates the legacy of suspicion that permeates U.S.-Cuban relations. In New Jersey, however, the renewed discussion of Chesimard’s fugitive status has reopened old wounds that date to an unsettling time in America — a time that was punctuated by a horrific confrontation on the New Jersey Turnpike between state troopers and members of the Black Liberation Army who were calling for an armed revolution. 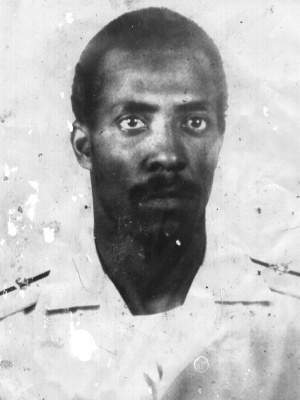 Just before midnight on May 2, 1973, Chesimard, then 25, was traveling south with two male compatriots when two troopers stopped their car. Within minutes a wild gunbattle broke out, leaving Trooper Werner Foerster dead and his partner wounded. Chesimard, who also was wounded, was later caught, charged with murder and sentenced to a life term. But in 1979, she escaped from the state women’s prison in Clinton and disappeared, only to turn up five years later in Cuba. Chesimard, 67, and reportedly living in the Havana area under the name Assata Shakur, is regarded as a criminal by U.S. authorities. 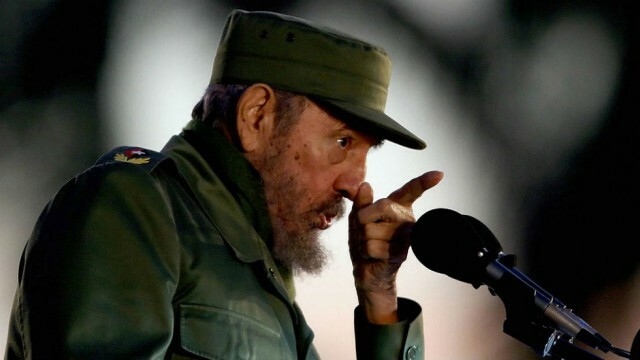 Cuba has never shown any inclination to rescind her political asylum, which was granted by Fidel Castro in the mid-1980s. In the fall of 1998, however, Freeh thought he saw an opening for U.S. authorities to get their hands on Chesimard. In December, Rolando “Roly” Sarraf Trujillo was identified as the high-value American spy traded for three Cuba spies. In the weeks since, some Republicans, a self-serving former Cuban spy named Bill Gaede, and the Castro regime have joined forces to diminish the importance of Roly’s service to America. 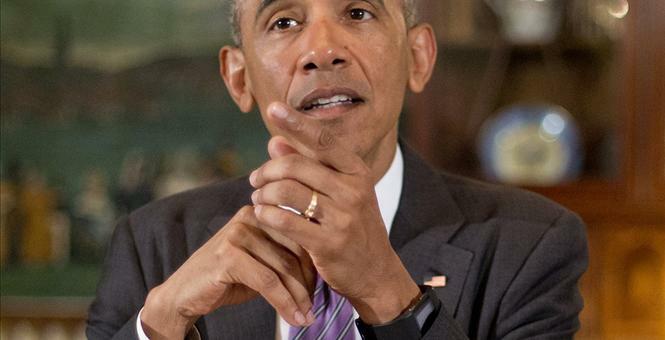 The Republicans are motivated by their mistrust of President Obama. In contrast, Havana’s attacks are driven by the fear its global spy networks will realize they have been betrayed – not by Sarraf Trujillo — but rather by their Cuban masters. Over the last 20 years, a “perfect storm” of events came together to make Havana’s agent communications extremely vulnerable. This fact is well-known to the regime’s leadership, which has inexplicably done little to protect its spies in the field. I – as well as anonymous intelligence sources in Washington – identified Roly as a Directorate of Intelligence officer assigned to an element known as Department M-XV (Agent Communications). With this placement and access, he would have been able to identify strengths and weaknesses in the High Frequency broadcasts (i.e., shortwave or “ham” radio) that Cuba has transmitted to its spies every day for decades. Sadly, the three-man CIA ring in which Roly served was compromised in 1994. Unable to escape the island like his colleagues, he was arrested and sentenced to 25 years in jail in 1995. Thus, it’s no coincidence that in 1996, the FBI was able to start reading parts of the HF broadcasts from Havana to its largest spy ring in America. Known as the Wasp Network, this group of 43+ spies stretched from the Florida Keys to New York City and as far west as Louisiana. The Bureau’s code-breaking, while slow and imperfect, proved good enough to arrest 10 Wasp members in September 1998. During these arrests, the FBI acquired physical copies of the encryption and decryption software used by Cuba. It also seized nearly 1,000 encrypted computer disks with roughly 15,000 pages of material. In August 2001, two more Wasps were arrested and their encryption seized. A month later, Cuban master-spy Ana Belen Montes was arrested at the Defense Intelligence Agency. A covert search of her apartment months earlier had discovered her encryption/decryption software program as well as numerous messages she failed to destroy. The Montes investigation originally began in 1998 as an “unidentified subject” (UNSUB) case. However, sufficient evidence didn’t come together to pinpoint a specific person until September 2000. In May 2002, another Wasp was arrested and his cipher program recovered. Finally, in June 2009, Cuban spies Kendall and Gwen Myers were arrested. Technology dinosaurs, the couple were part of a handful of Cuban spies who stayed with Morse Code for roughly 30 years, long after almost everyone else had switched to encrypted voice messages. Rolando Sarraf Trujillo allowed Washington to first gain insights into Havana’s spy networks two decades ago. This knowledge was then amplified by the practical experience the Bureau gained reading Wasp Network communications for over two years. This was followed, in turn, by another huge breakthrough — the subsequent arrests of more than 16 Cuban spies (most of whom took plea agreements and cooperated with the US). In these arrests, the US likely acquired over a dozen working copies of Cuba’s cipher software. Now, with Rolando Sarraf Trujillo presumably being debriefed somewhere in the United States, the US government is adding additional depth to its understanding of Havana’s spy communications. These events, taken together, should strike terror in the heart of every Cuban spy. If we assume NSA recorded every HF broadcast Cuba sent over the last several decades, then the possibility exists that (at least theoretically), with enough time, people, and funding, Washington could eventually break every message Havana sent. Even with its communications security in a 20-year freefall, Cuba continues transmitting daily HF broadcasts. So for all those disposable Cuban spies serving secretly throughout the US, I’d recommend you start sleeping with one eye open. Washington is closer to finding you than you ever imagined.